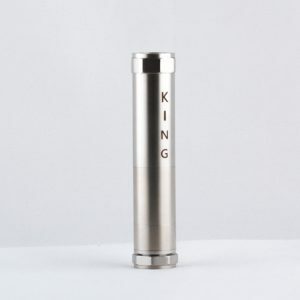 A rebuildable atomizer (RBA), often referred to as simply a “rebuildable,” is just a special type of atomizer used in the Vape Pen and Mod Industry that connects to a personal vaporizer. So What Exactly is a Rebuildable Atomizer or RBA? The bottom of the deck has a native 510 connection, while the top generally has two posts, a negative post and a positive post. Kanthal or Nichrome resistance wire is attached to the posts by threading the wire through small holes in the post. The top cap, attached to the base by o-rings, has an air hole drilled on the side (conventional atomizers have their air hole located on the 510 connection). The o-rings connecting the top cap and base can be adjusted to control the amount of vapor as well as “throat hit” delivered from the RBA’s coil. The coil, along with the wick are the “heart and soul” of the RBA. 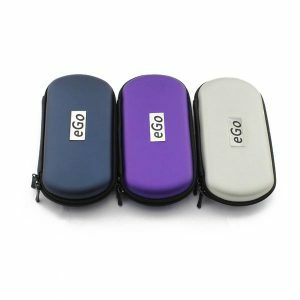 The coil provides the heating element which causes the e-liquid to vaporize, while the wick supplies the hot coil with eliquid. How a Rebuildable Atomizer works? The inner workings of a rebuildable atomizer are surprisingly simple. The coil inside the RBA is made of some type of resistance wire, normally Kanthal or nichrome. 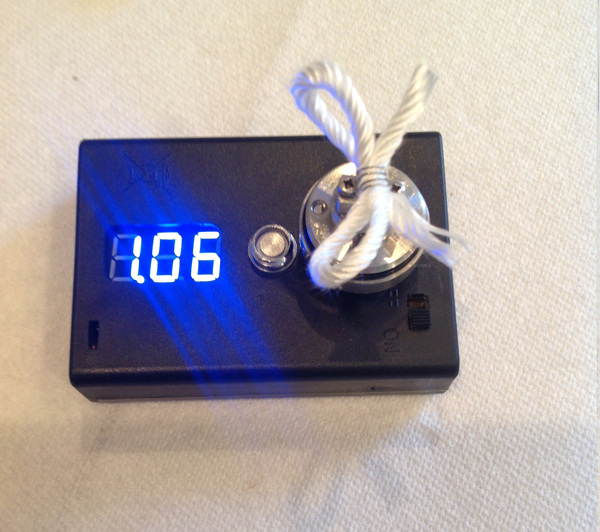 When a current is applied to the coil (resistance wire), it heats up and the heated coil then vaporizes the eliquid. The resistance wire used for the coil comes in different gauges. There are several gauges commonly used as coils in RBA, such as .28, .30, .32, and .34. The thicker the wire (a lower gauge) allows more electricity to flow through it. As such, a longer wire is required to produce the same resistance as a thinner, higher gauge wire. The gauge of wire used depends on the RBA’s power source, how large the RBAs coil section is, and the owner’s target resistance. Any material that will supply the coil a constant flow of liquid can be used as a wick. The material must always stay when the owner drags on it. 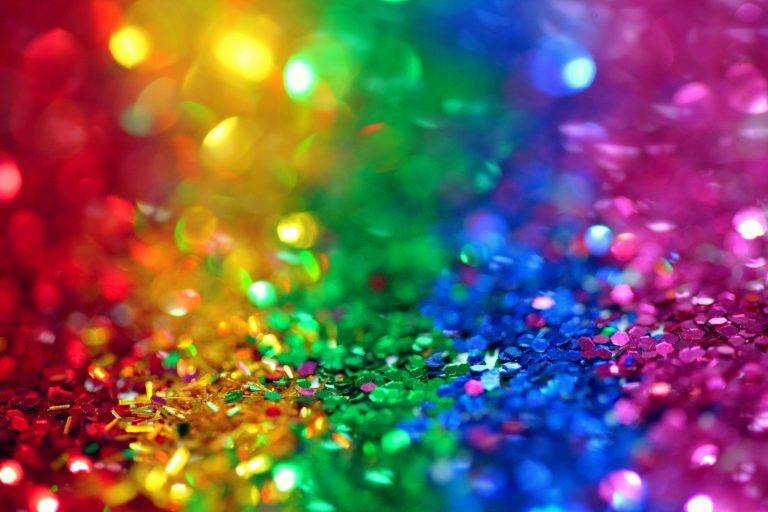 It should also be noted that the material cannot release harmful chemicals into the vapor. NOTE: Oxidized steel mesh, silica, cotton and bamboo are commonly used for wicks. 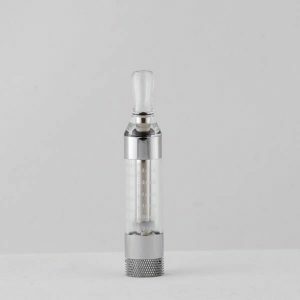 What types of Rebuildable Atomizers are there? There are four different types of RBAs: Drip, Bottom Feed, Tank, and Genesis. Drip RBAs are a rather simple type of RBA and are usually recommended for newbies. 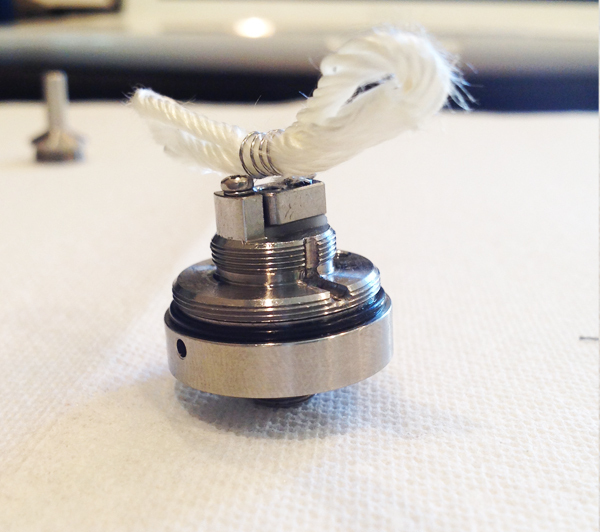 Often referred to as RDA, it utilizes the same type of wick and wire as the bottom feed RBA. The bottom feed RBA is, perhaps, the easiest of all RBA types to build, maintain, and use. 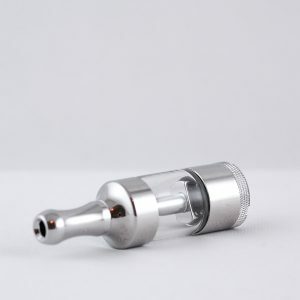 It is filled from below, much like bottom coil clearomizer. Bottom feed RBAs can utilize cotton instead of silica for the wick. 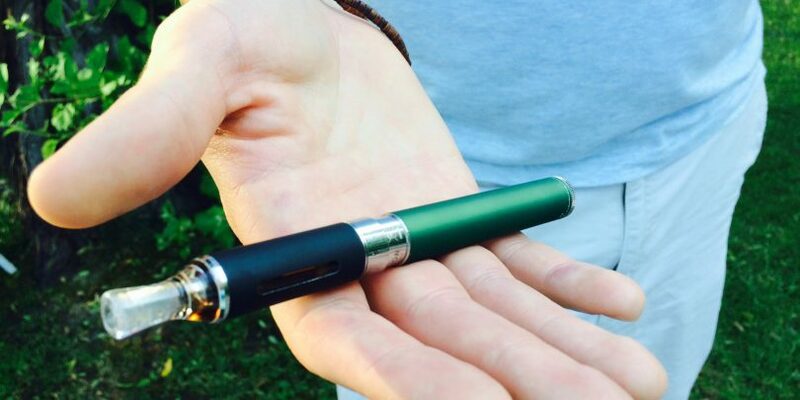 The Genesis, or genny, is a top feed RBA that utilizes a short woven mesh wire. The coil of the Genesis s one of the most advanced type of all RBAs and are rather difficult to build. 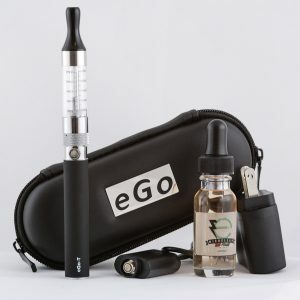 The eliquid for the Genesis is filled from above, like the name suggests. Tank RBA’s are, by far, the most popular RBAs out there, particularly amongst the RBA, techs in the community. Commonly referred to as RTAs, tanks are the most difficult to build, maintain, and use. Tanks are pretty much a hybrid of the drip RBA and the Genesis RBA. As the wick is constantly immersed in eliquid, RTAs only dry out when the tank goes empty. Atomizer Tank: This is the best choice for new users. 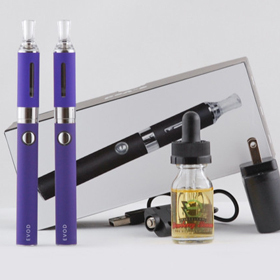 In a nutshell, an atomizer tank is merely an atomizer which is fed by a tank or cartridge. 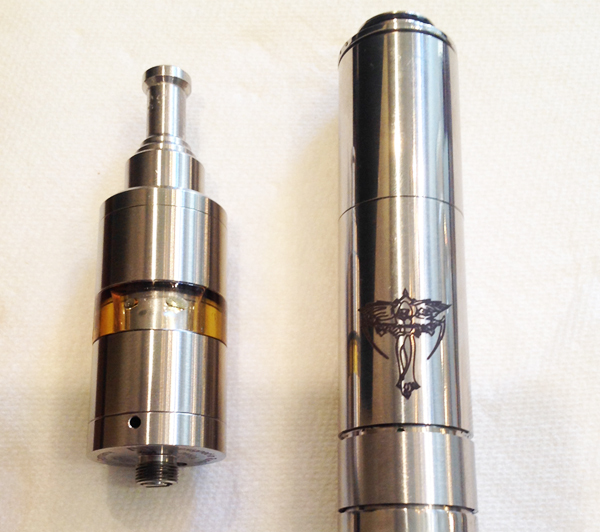 Atomizer tanks require very little maintenance as they are the most basic of the bunch. Top Coil Tank: These tanks utilize the coil and wick mentioned earlier in the article. 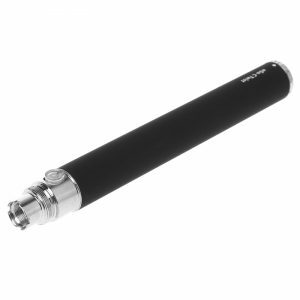 They provide a much hotter vapor than does the atomizer tanks. However, many vapers complain of less flavor with these type tanks. Bottom Coil Tank: Bottom coil tanks come in both single bottom and dual bottom. Bottom coil tank aficionados tend to sway heavily toward the dual bottom citing more vapor, warmer vapor, and just a better overall flavor. Cartomizer (Carto) Tanks: These are the Mercedez Benz of RTAs. They are also, however, the hardest of all RBAs to build. In a nutshell, a carto tank RTA is simply is simply a tank which encloses a cartomizer and keeps it continually fed with juice via a small hole in the side of the carto. This eliminates the need for frequent topping up. What are the advantages of a Rebuildable Atomizer? The biggest advantage of an RBA is that, if you build your mod right and if your coil is tight, you will enjoy vapes that others can only dream about. Aside from the vaping pleasure your receive, the satisfaction of having spent the time, money, and energy in a hobby in which you receive pleasure from, whether you are actually building your RBA, or enjoying the throat hits your efforts have reaped you is indescribable. As an added bonus, the McGyver type skills which you learn whilst building and tweaking your mod may well prove invaluable during the forthcoming Zombie Apocalypse. 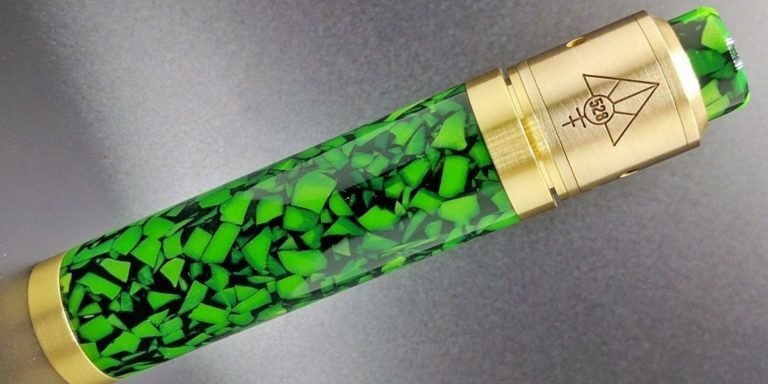 The bottom line is that the Vape and Mod industry is not for the faint of heart. Those who are serious about their vaping, that is, those who care about blowing clouds and amount of throat hit already know this. 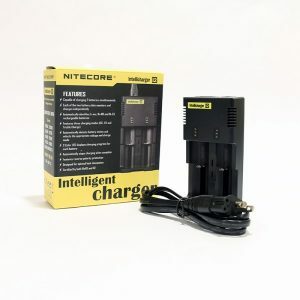 Investing in a rebuildable atomizer and doing your due diligence in learning the ins and outs, the pros and cons can be, at the same time, one of the most rewarding things in life as well as one of the most frustrating. Good luck, and as always, Happy Vaping. When you are building the kayfun lite plus you must always remember to be safe and know your AMPs/ Volts on your battery and your Ohms on your atomizer. 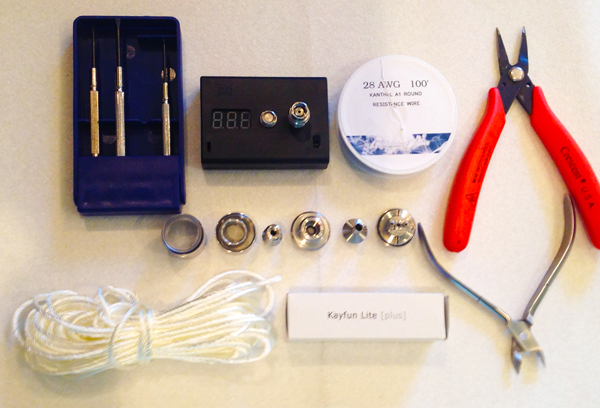 Here is general idea of how to build the Kayfun Lite Plus. Step 1 – Make sure you have all the building supplies, materials and tools you need to get the job done when for building a Rebuildable Atomizer. 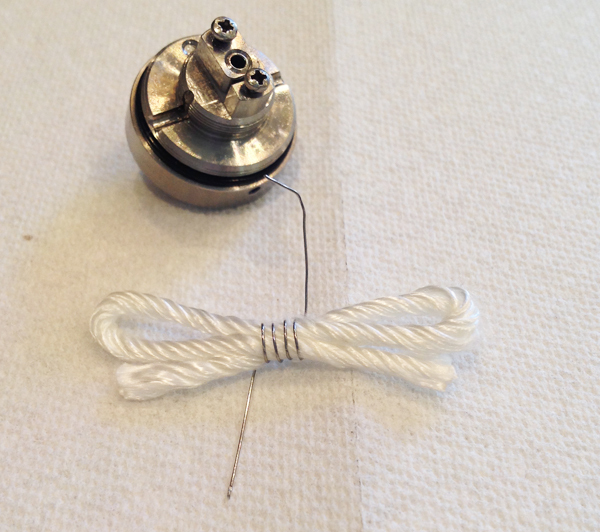 Step 2 – Fold a piece of silica wick (3 inches) into an “S” shape and then wrap the Kanthal wire around the silica wick (Make sure its tight) 4 times on the top and 5 times on the bottom (4/5). You will end up having 5 lines of kanthal on the bottom on 4 lines of kanthal wire on the top. 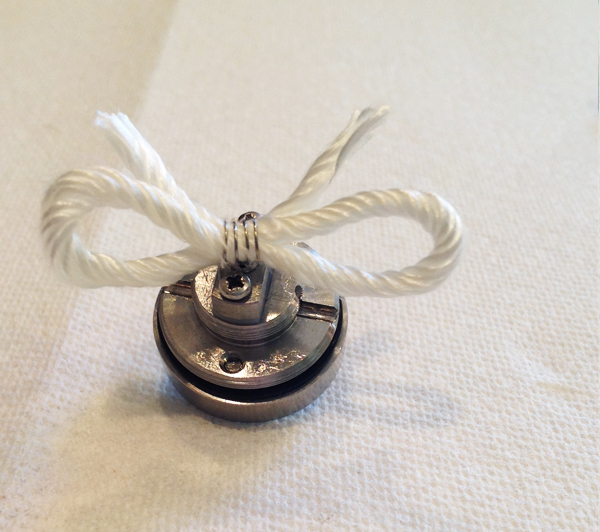 Step 3 – After you have finished building your silica and kanthal set up, you will then need to attach it to your atomizer. Start by setting the silica/ kanthal build perpendicular to the screws and very carefully wrap one side of the kanthal wire around a screw head. Once you wrap one side of the kanthal wire around the screw, lightly screw down the kanthal wire, just to hold it in place. 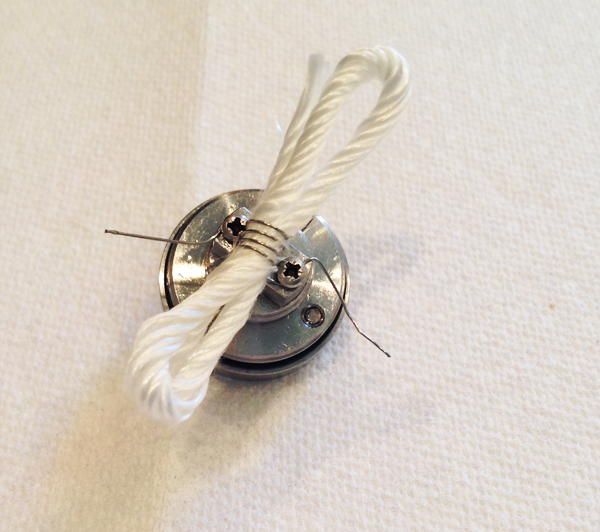 Next, wrap the other end of the kanthal wire around the other screw and tighten down just the same. After you have both sides of your kanthal wire wrapped around each screw, with both sides lightly tightened down, re-adjust the wire one both sides to fit further underneath the screw and then tighten down all the way. After both sides of the kanthal wire is secure under each post, cut the excess wire off both ends and try to get as close as possible as to not create any shorts. 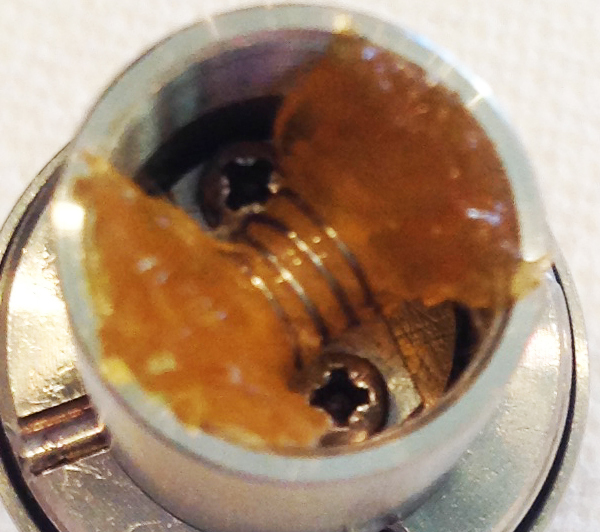 Step 4 – After you have cut off the excess kanthal wire, you will need to lift the kanthal wire and silica off the center airhole and then straighten out your entire build so the Silica and Kanthal is exactly perpendicular to the posts (Screws). Step 5 – You should end up with something like this. It doesn’t have to be perfect, but your do want the kanthal and silica build to be as close as possible to “Perpendicular” to your posts. Step 6 – Now the fun part! Testing your Ω (Ohms)! The important part about testing your ohms is make sure the Battery size you are using can handle the Ω (Ohms) you will be running. We have 1.06 Ω (Ohms) and we are using a 3.7 volt 30AMP battery so we will need to make sure that 30AMPs will be enough for 1.06 Ω (Ohms). 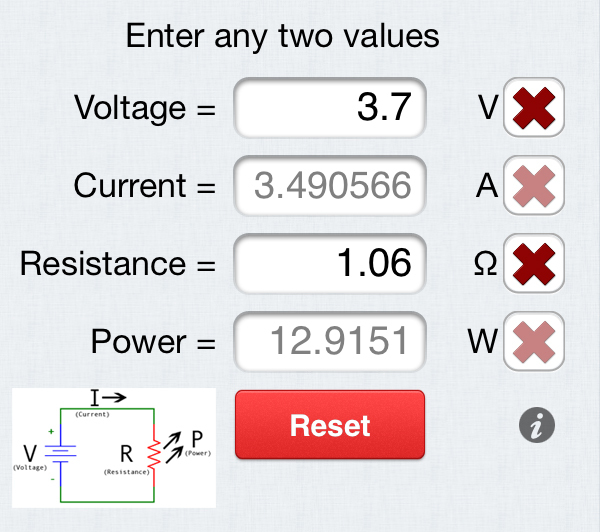 Download the Ω (Ohms) Meter App, you can calculate everything there! After we enter in the variable 3.7 Volts and 1.06 Ω (Ohms) in the resistance section it will give us an output of 3.5 AMPS which is far below 30, so we are good to go! Step 7 – Feed the silica wick up the first piece of your chimney and then screw your chimney down. After you have attached the first piece of your chimney, you will have some silica wick sticking out, cut it off at the top, so you are left with the silica wick flush with the top part of your chimney. Step 8 – After you have cut the silica at the top it now time to drip a little bit of your favorite E Juice on the silica wick so it is easier to work with. Once you have dripped some E Juice on the wick, using a small flat head screwdriver, shove the silica wick on both sides down the chimney until both sides are folded over and facing down. Step 9 – After you are finished setting up your build, screw all your pieces back together and fill your tank. You are ready to Vape! 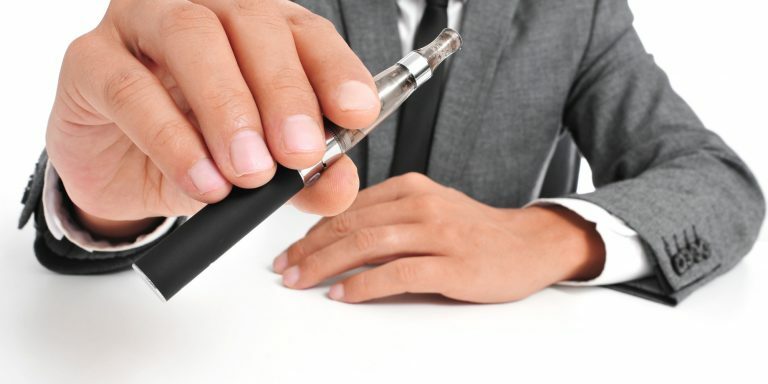 Step 10 – Start Vaping! 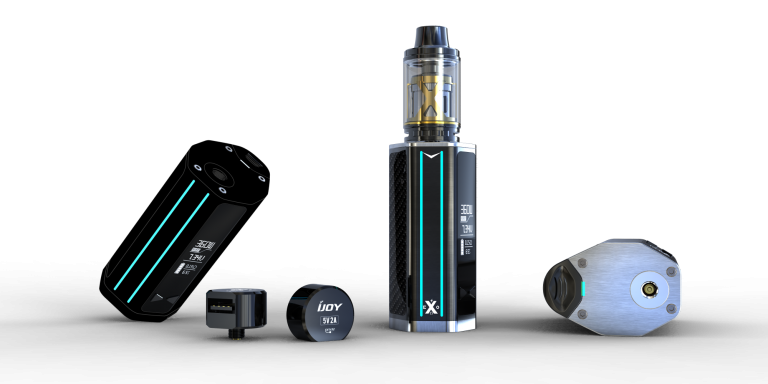 If you have any questions or would like more information on Kayfun Silica Builds or Rebuildable Atomizers in general, please contact Slim Vape Pen today!